Not that one’s mind could wander while watching the film X Men Days of Future Past, but it put me in mind of buildings that continue to distract me, such as the Military Museum in Dresden and the Hearst Tower in New York City. Here’s how that happened: The X Men are a species bearing much resemblance to homo sapiens except they have unique super-properties grafted on to them. Wolverine, as you moviegoers know, has noisy extended metal claws that frankly detract from the pleasure of looking at Hugh Jackman who plays him. Strange eruptions like those from the Marvel Comics superheros made me think of what Daniel Libeskind did to the Dresden museum and how Norman Foster augmented the Hearst Building. They just look odd. Renzo Piano’s addition to the Morgan Museum & Library is so jarring that it makes what is original to the complex feel fake. I have yet to find or take a photo that conveys what it is like to step from the hush and splendor of the library into the trumpeting light and bare wood flooring of Piano’s addition. His work feels odd and violates the place. In contrast, one makeover ennobles. 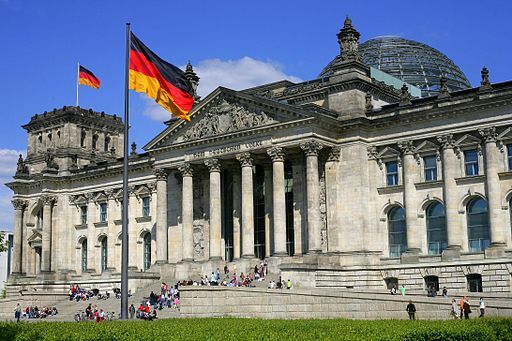 The standout is Foster’s Reichstag in Berlin, which exorcizes the horrors of its past and creates a setting for a soaring and responsible future. From the outside the classic shape of the glass dome harmonizes with the 19th century facade. Inside the environment is transformed. Lacking credentials as an architectural critic, I have hesitated to publish these thoughts. Now I am emboldened by insightful Witold Rybczynski, who has written an excellent piece in the N.Y. Times that questions the aesthetics of global architecture. Read it here and hope that those who bankroll New York’s cultural institutions hand-in-glove with real estate developers and hedge fund managers will learn something of the public good. Please share your thoughts. This entry was posted in Uncategorized and tagged Daniel Libeskind, film X Men Days of Future Past, Hearst Tower, Hugh Jackman, Norman Foster, Renzo Piano by Kathleen Brady. Bookmark the permalink. Daniel Libeskind is a talentless loudmouth whose sole interest is not in architecture, but in feeding his ego. His architecture is parasitic. It relies for its effect on the “host” building that it tries to destroy. Your X-Men lead in to this piece if so apt. Nicely done. 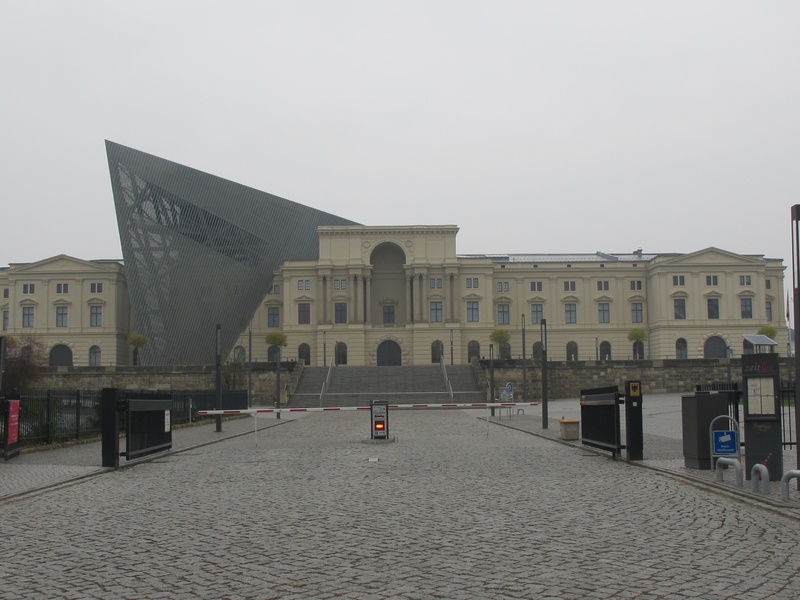 Liebskind’s wing looks more like the remains of Liebskind’s ego after it crashed into the Dresden Museum. Too bad it didn’t crash into the Hearst Tower augmentation. Whatever happened to beauty?